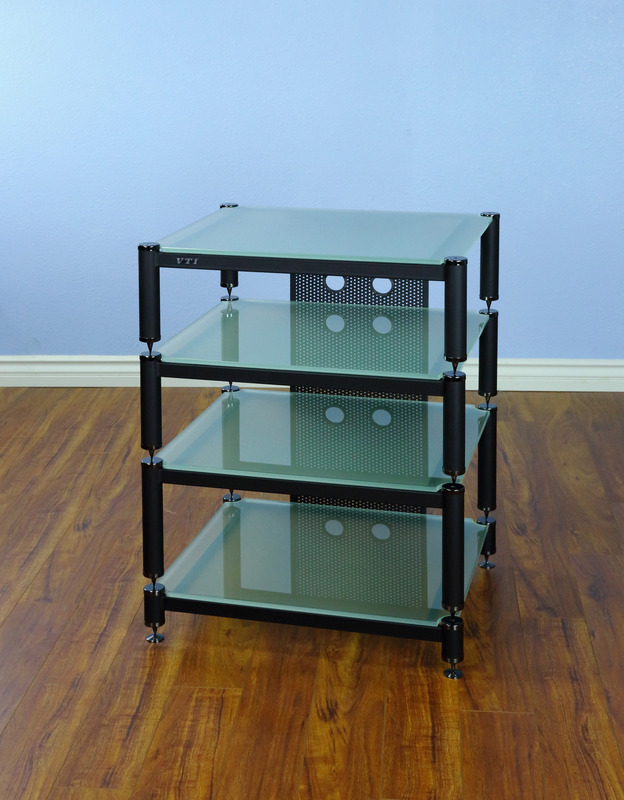 Additional shelf can added or can be used as single shelf unit. 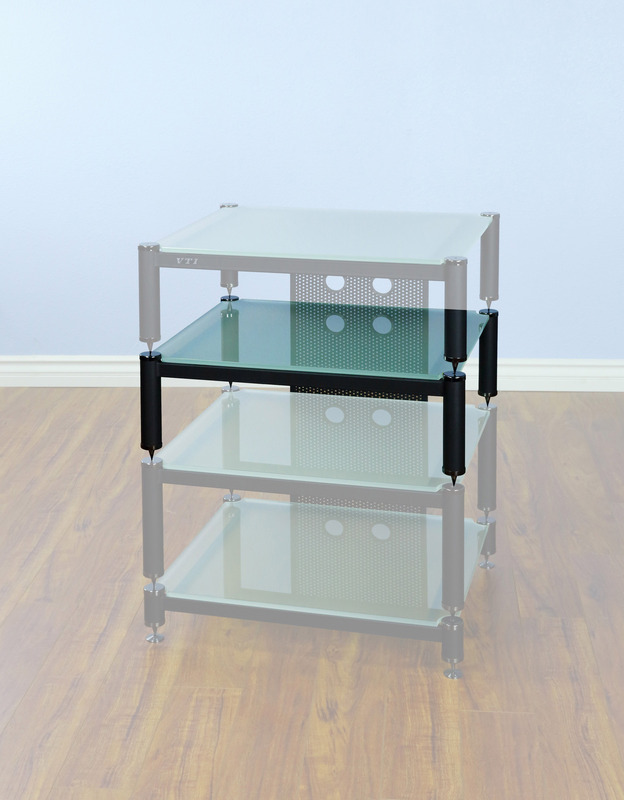 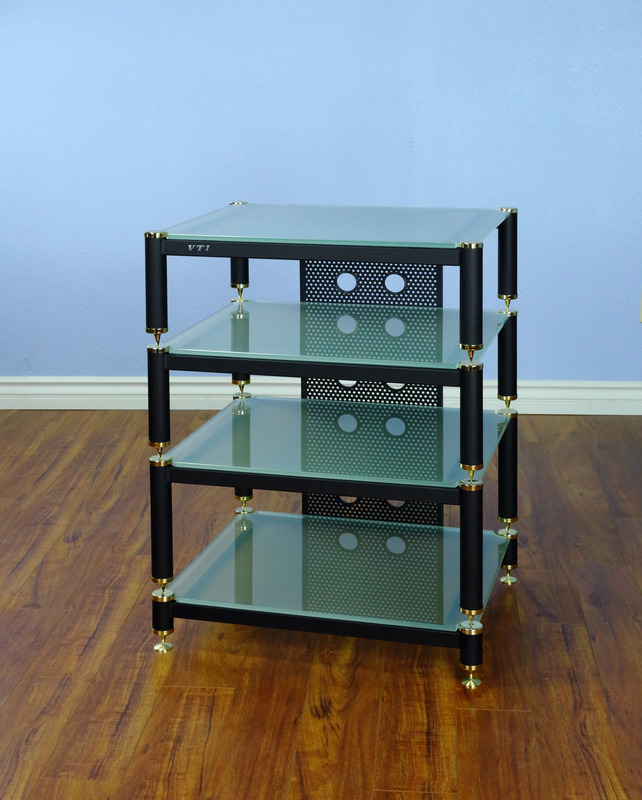 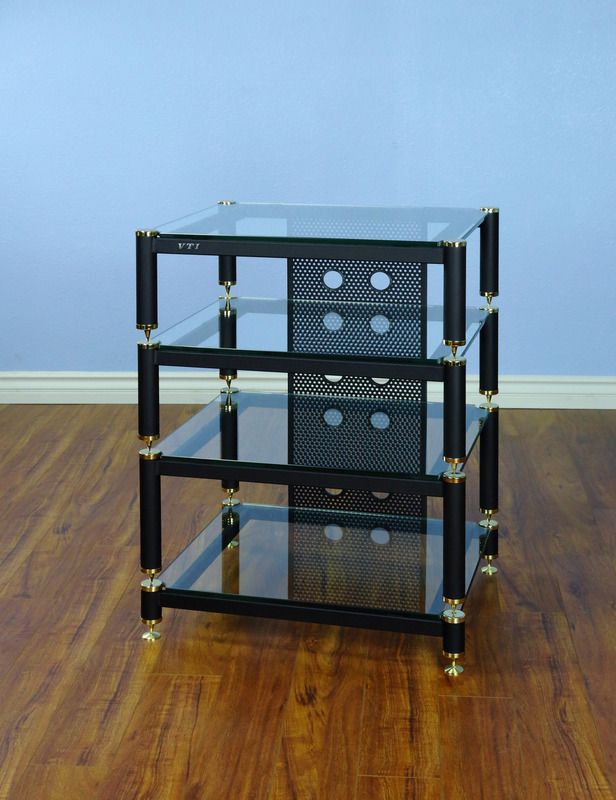 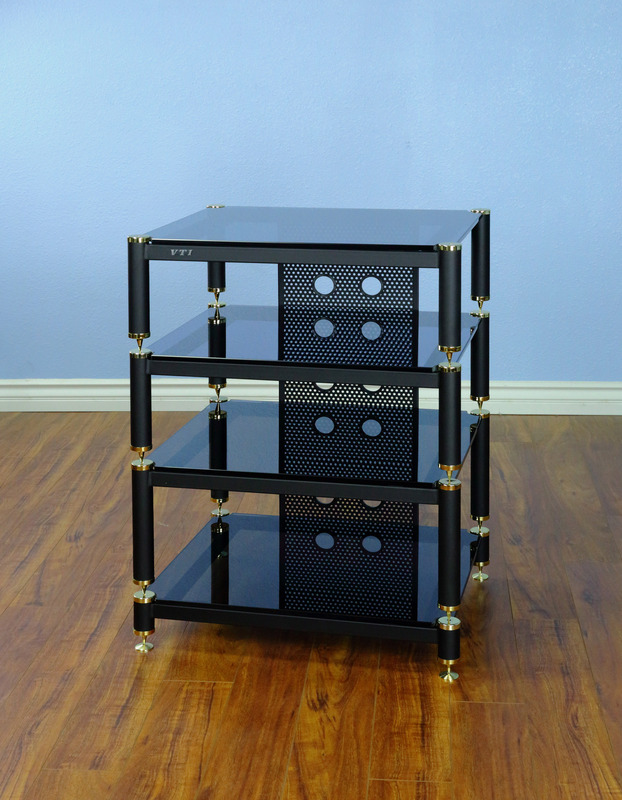 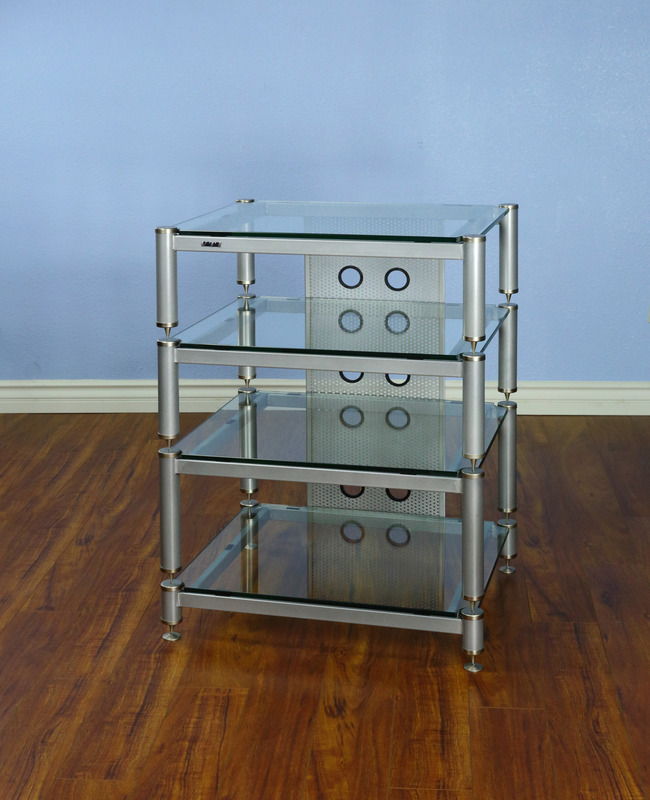 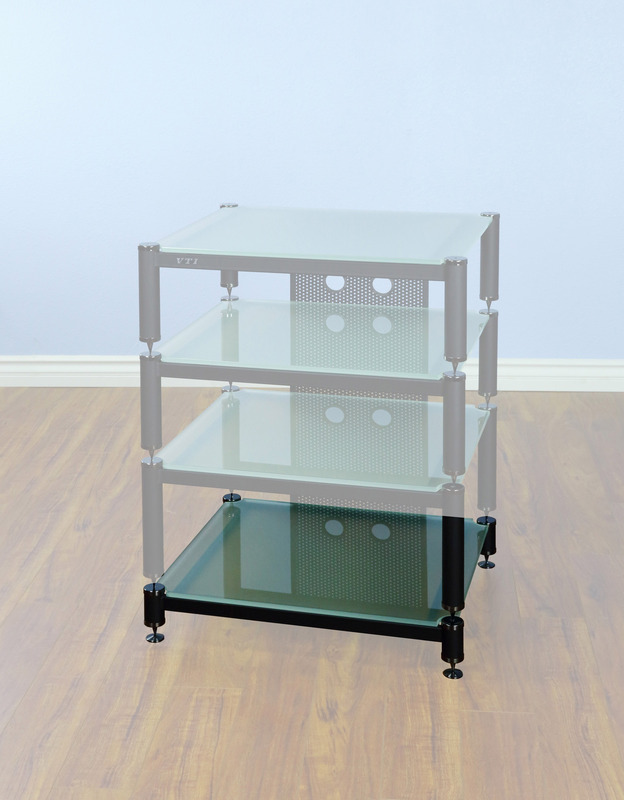 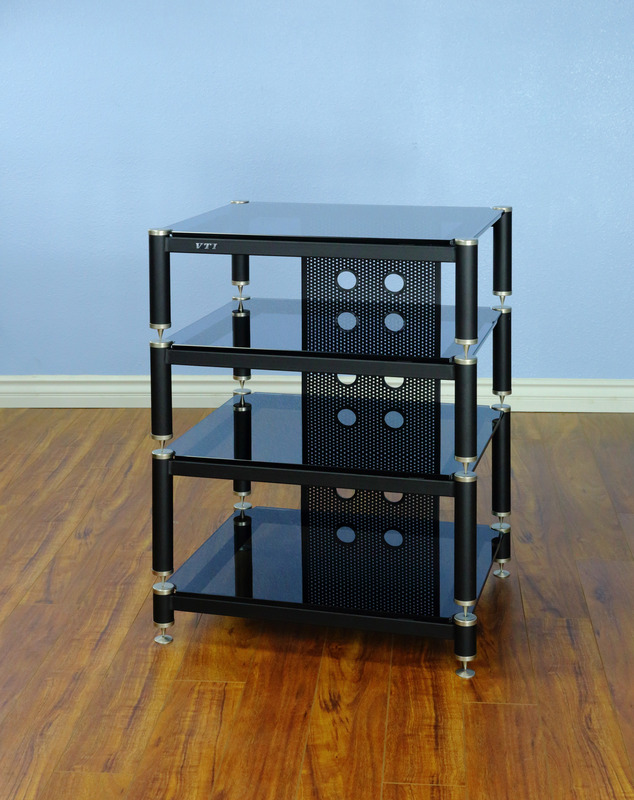 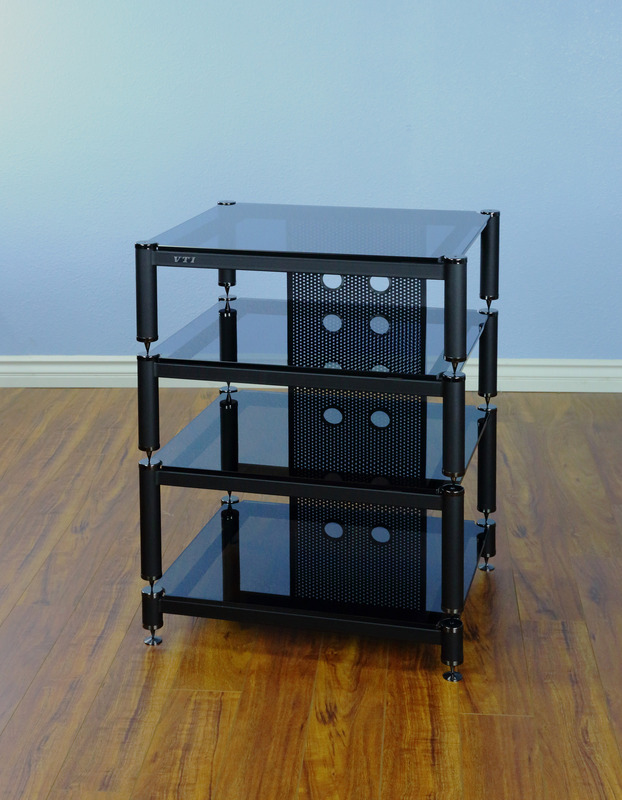 Extra thick 10 mm tempered glass shelf support up to 200 pounds and whole unit support up to 350 pounds. 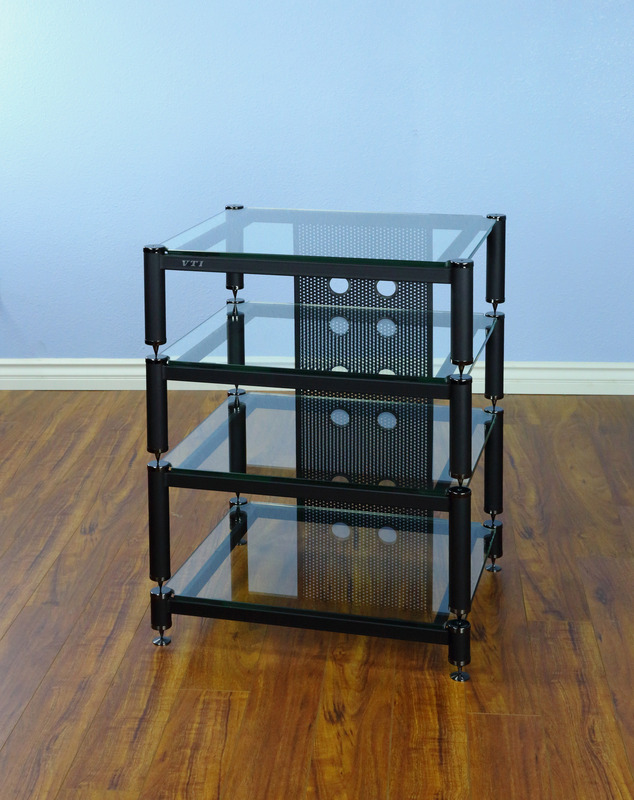 Beautiful two tone frame unit with wire management system. 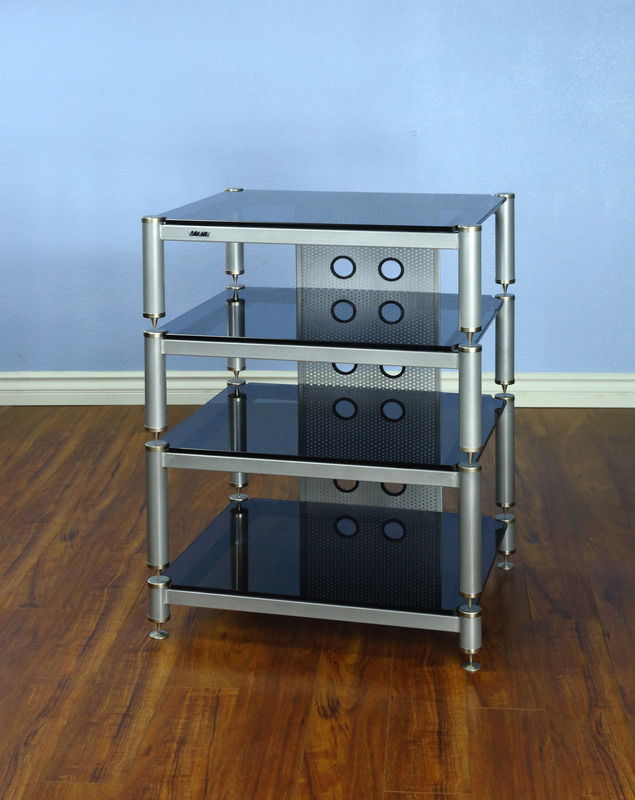 Available cap / spike color: B - Black; S - Silver. 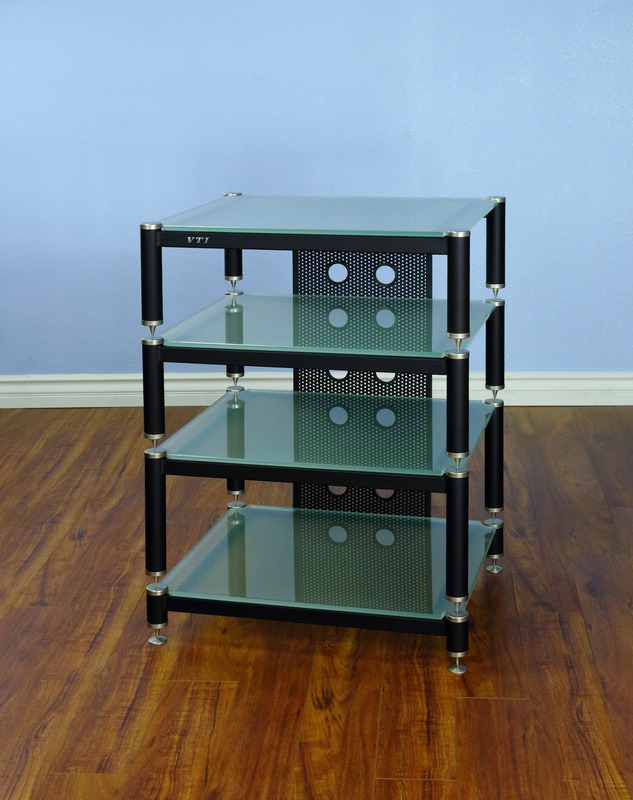 Available glass color: B - Tinted black; F - Frosted; W - Clear. 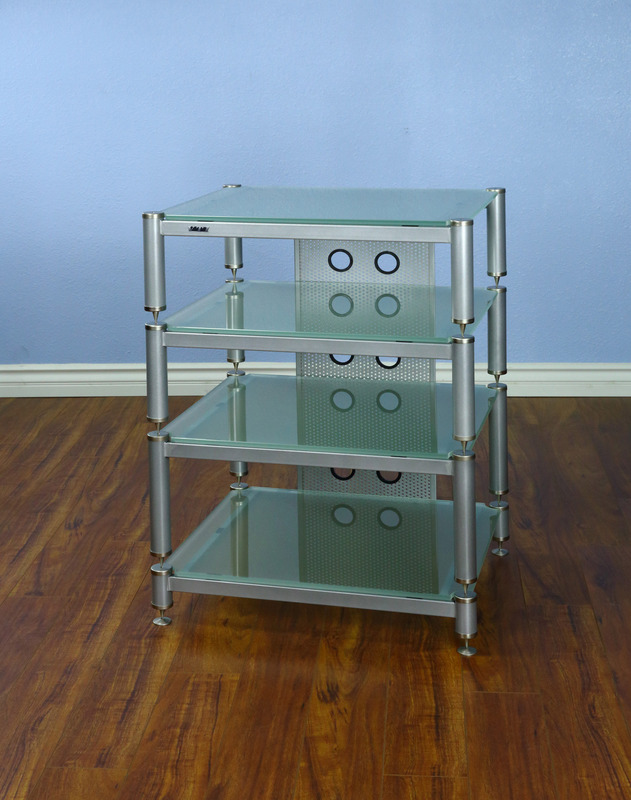 Note: First letter at end of item number represents either cap/spike color; last letter represents glass shelf color, middle letter represents silver frame color (omitted for black color). 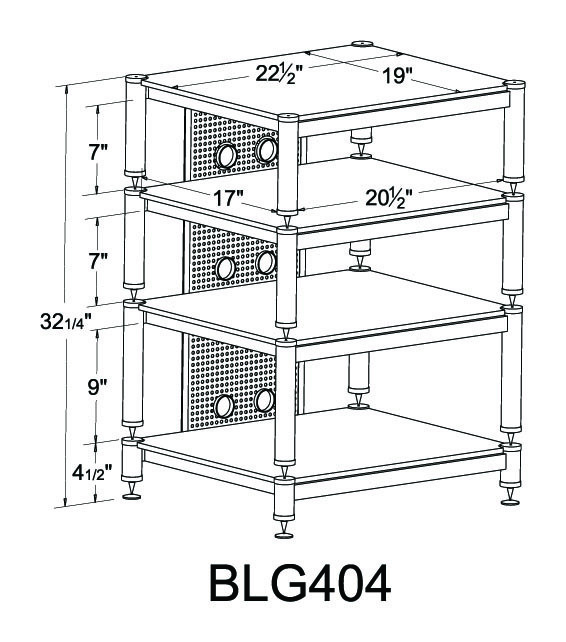 Available model #: BLG404-01 (AMP. 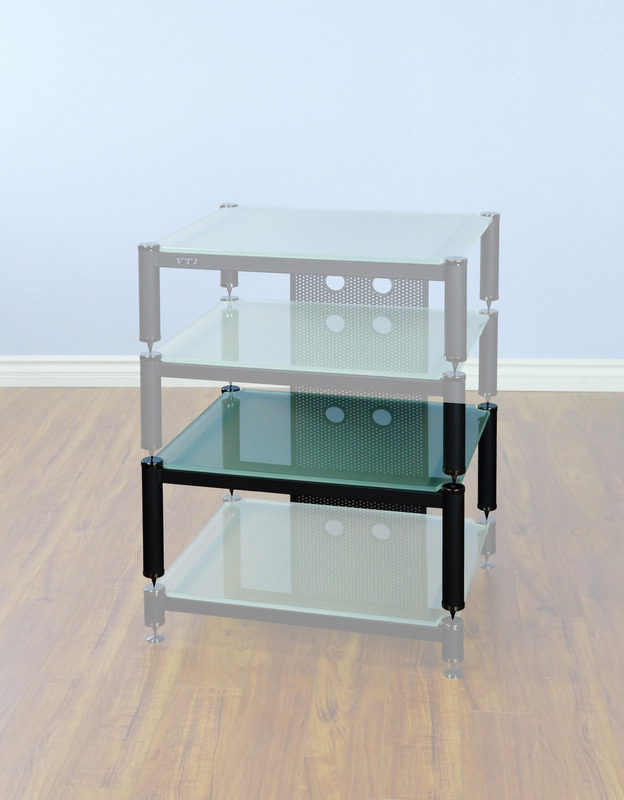 stand) & BLG404-13 (adding suffix -13 to the above model number). 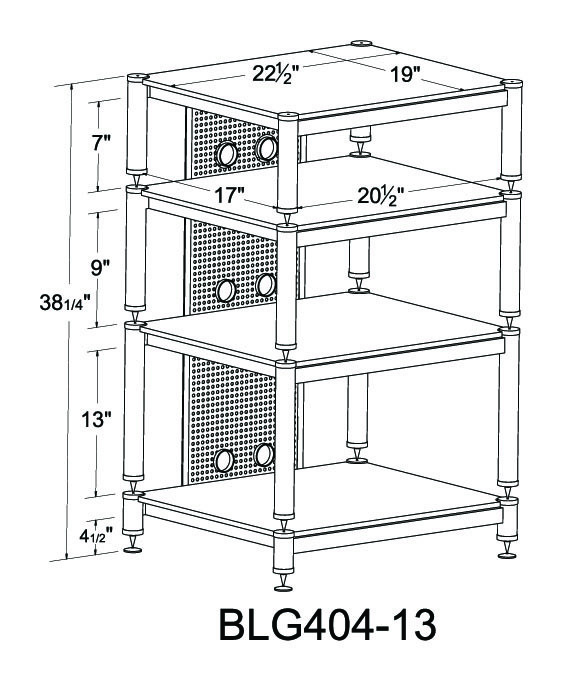 BLG404-13: Clearance space: between shelf 13″, 9″ and 7″ (from bottom).